Direct Download iOS 4.3.3 for iPhone, iPad, iPod touch NOW ! A new released iOS 4.3.3 fix the location database bug. In addition, this new iOS version also addresses a few battery-life related issues and iPod bug fixes. 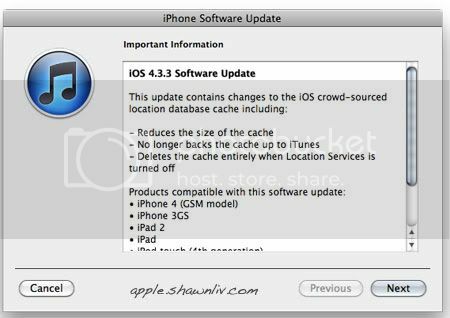 Direct links of iOS 4.3.3 IPSW download available below.